L.F. is a surgery technician who suffered a serious injury to her middle finger - a machine in the operating room at work was to blame. The injury affected her ability to do her job, and she was ultimately let go by her employer - all because they believed that her injury was not work related. L.F. started going to vocational rehabilitation so that she could find work similar to the one she had before. Reluctantly, her previous employer started to pay her worker's compensation benefits. She was having a hard time finding a job - she was applying for jobs rigorously, but not getting interviews or bites. Even when she got the interview, jobs were still out of her reach. While she searched for jobs, her doctors recommended surgery for her injury - anyone in this situation would say "Why not? It's recommended by both my doctors." Nevertheless, she asked questions and learned that even with this surgery, her problems may persist and even worse, she may suffer permanent numbness to her finger. She didn't want to get worse, she wanted to get better. So, she decided not to have the surgery. Take ownership over your health - ask questions and make the best decision for you. After L.F. refused to have a recommended surgery, her employer stopped her worker's comp benefits. With no job and no benefits, L.F. was at a loss. 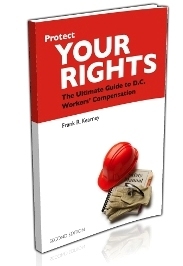 The attorneys at Donahoe Kearney presented her case to the judge, and even though she could not find a job and refused recommended surgery, she was still owed her worker's comp benefits. Her previous employer was ordered to pay her numerous months of back worker's comp benefits. Now, L.F. is in a better state and has peace of mind knowing that the attorneys at Donahoe Kearney helped her get what she needs and deserves.